Vanessa Huppenkothen is a Mexican model and television presenter currently working for ESPN Deportes and ESPN Mexico. Additionally, she is one of the few Spanish reporters who works for ESPN network. The resident of Mexico City, Vanessa Huppenkothen, reportedly earns around $70,000, as her yearly salary from the network, and as of 2018, she reportedly has an estimated net worth of over six digit figure. Vanessa Huppenkothen was born on 24 July 1985 in Mexico City, Mexico. She holds a Mexican nationality and belongs to White ethnic group. She was born to a Mexican mother and a German father, Dieter Huppenkothen, a football player. Further, the details about her early childhood and siblings are not available in the media yet. After leaving school, Huppenkothen studied international relations in Mexico City. In an interview with German tabloid Bild, Huppenkothen said she chose the subject because at that time she wanted to be the Mexican ambassador for Germany. Vanessa Huppenkothen is one of the most popular faces among the ESPN anchors. Since ESPN is a popular sports network, it is well known for paying its sportscaster a high salary. Further, Vanessa Huppenkothen is a regular anchor of the ESPN, she earns a decent salary from the network. The Mexican sportscaster/anchor Vanessa Huppenkothen has an estimated net worth of six digit figure. Similar to Paulina García, the reporter receives an annual salary in the range of $70,000 from her successful reporting career with ESPN. Furthermore, she is also into the field of modeling through which she has been earning a significant amount of salary. So with all the references and assumptions, we concluded that she has been living a decent lifestyle from the earnings that she made from her career. While studying, Vanessa began modeling and entered the underlying rounds of the Miss Mexico National Contest. She became the title holder of the Nuestra Belleza Distrito Federal. After a competition, she got a job as a sports journalist at Televisa Deportes station in Mexico. In 2008, she covered the 2008 Beijing Summer Olympics. During the 2010 FIFA World Cup in South Africa, she reported on Mexico national football team. For the 2014 FIFA World Cup in Brazil, she again became a presenter for Televisa's coverage of the national team in Mexico, during the time she gained considerable attention and was one of the top five searches in Singapore. Later, She left the network in March 2016 after 9 years in Televisa and moved to ESPN Mexico in July 2016. Exploring her personal life, she was married to Juan Fernández Recamier on April 30, 2011, in the Church of the Holy Cross, in the Pedregal. Vanessa and her businessman husband got a divorced in mutual understanding after two years of marriage in 2013. After her divorce, she was briefly linked with Octavio ' El Payo ' García, a bullfighter after she was spotted at Barajas airport. "Yes, we are gallants. He's single, I'm single, so we had to get to know each other and see if we worked or not. Little, little, nothing, is a guy, is a cute child, it makes me gorgeous, I like it, it is handsome. A man that I admire, that I respect, has a pretty risky profession. " The couple dated briefly and separated. In late 2015, she got into a relationship with Javier Martínez. Her affair with Martinez came to the public after she posted a photo kissing her boyfriend on her Instagram. She reportedly has ended her relationship with her boyfriend as she has deleted all the photos with his from her Instagram. 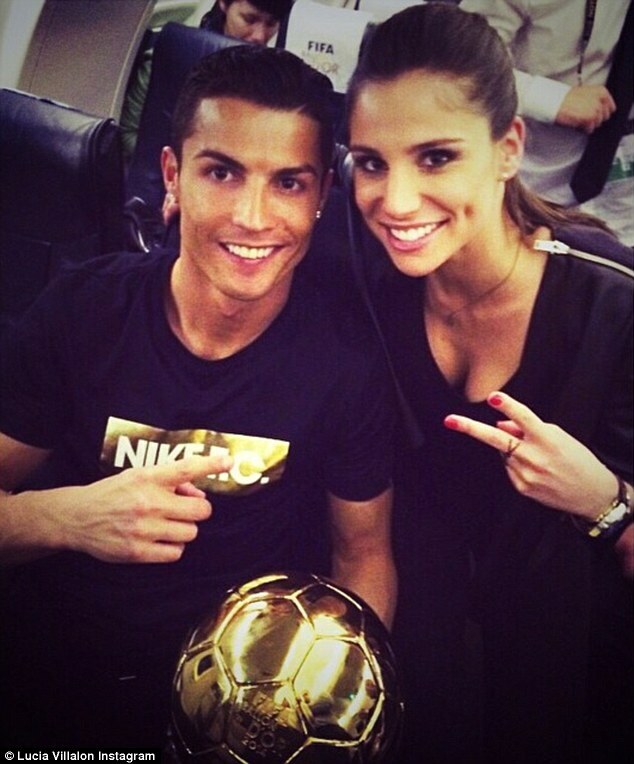 Further, she was rumored to be dating a football superstar Cristiano Ronaldo, after he broke up with Irina Shayk. Apart from Cristiano Ronaldo linking, there aren't any additional rumors about her past affair and boyfriend. The couple is not dating each other anymore as Ronald has moved on with his new girlfriend Georgina Rodriguez, a Spanis model. Vanessa Huppenkothen is currently single and is not dating anyone. Compared to Ines Sainz, she is also known as one of the sexiest Mexican reporters, who has managed to drag people's attention through her seductive body structure. Talking about her body measurement, She has light blond hair and light blue colored eyes. Vanessa has a height of 66.1 inches and her weight is unknown. Furthermore, she has not revealed any details about her body description. In addition, she is not only a popular TV face, but she is also pretty famous in social media with an enormous number of followers.